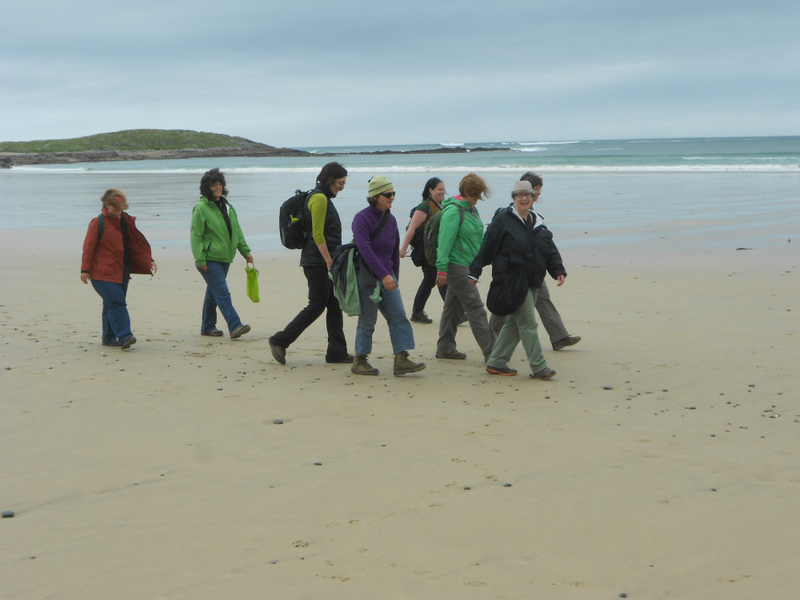 In September the flowers of San Francisco arrived in Donegal – all eleven of them! During the week they were joined by a German filmmaker/musician and a wonderful Canadian musician. 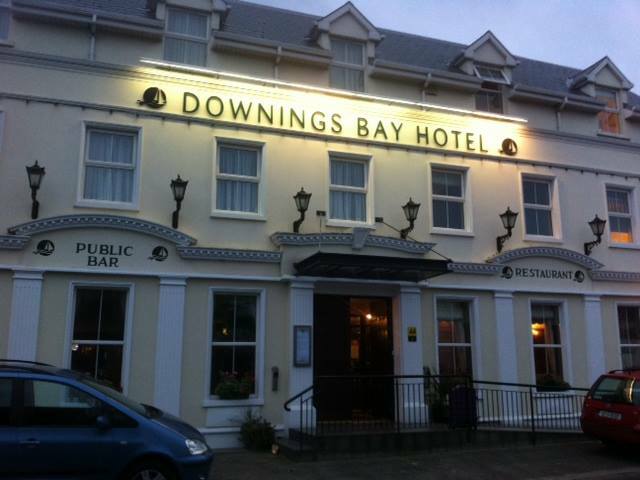 We stayed very comfortably in The Downings Bay Hotel where the food was exceptional and the staff were very professional and friendly. 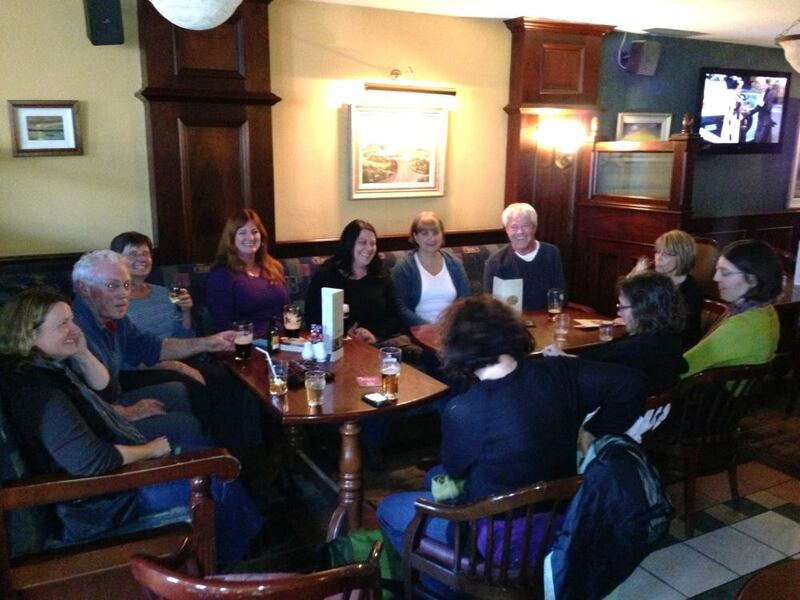 Needless to say our evenings in JCs, the hotel bar, were lively affairs – duelling guitars and songs a plenty. However we had to do some walking first! and a little talking too! On Monday, our first day, the weather greeted us rather stormily so we curtailed our walking to the back roads of the Ros Guill peninsula. 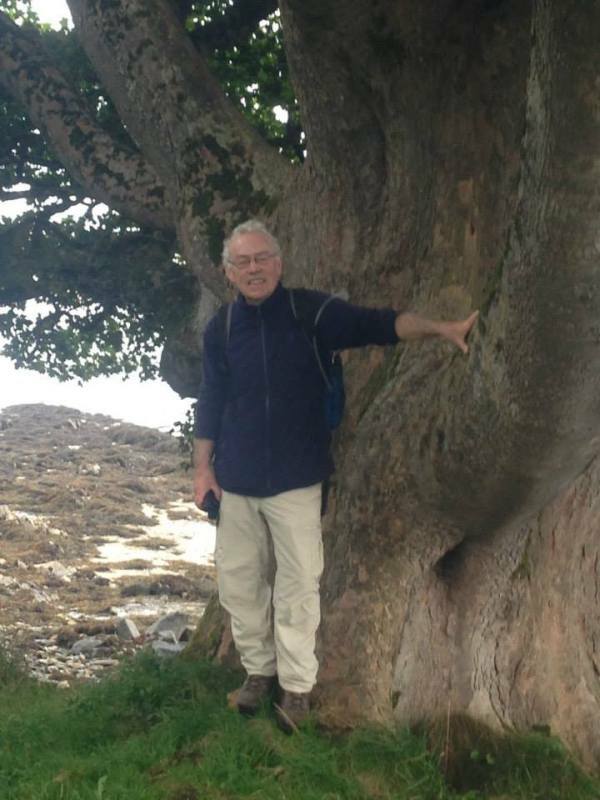 We were led by a local ‘fear feasa’ (man of knowledge) and gaelic scholar, Kevin Ward,who enlightened us about the Irish language,the legends,placenames and stories of the area. We had a deserved coffee break in McNutt’s coffee shop at the harbour before Michael McGeever took us on a bus tour of Atlantic Drive, stopping at Doagh to marvel at the mighty waves smashing into the cliffs and covering them in the whitest of foams. Exhilarating! Later some rested and others went to the leisure centre for a swim and a sauna before pre-dinner drinks in JCs – a great way to start the week! After such a ‘leisurely’ start we actually did some trekking or walking and of course a lot of talking. 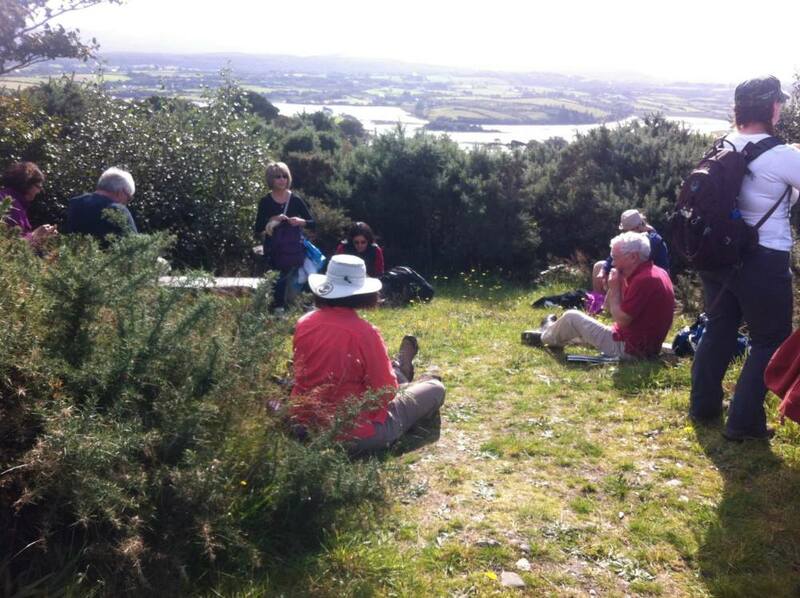 Mike O’Dowd gave a fascinating talk on rock formation and geology before we headed off for our walk on Horn Head. On our way there we called in to see Seamus Harkin, ‘the singing undertaker’, who had been singing for us after dinner the previous evening. Willie filmed him singing his latest hit ‘The Hearse has no Towbar’! The group relieved him of many CDs and were very generous in their compensation!! Horn Head was magnificent with crashing waves and sandy beaches. We made our way through the sheep and got a lovely picnic spot overlooking Tramore beach. We went to Glenveagh National Park and after a lovely walk down the glen we were greeted by the head gardener, Sean O’Gaoithin, who gave us a superb tour of the grounds. After some lovely refreshments in the tea-rooms we then visited the castle – geology, history, plants, trees – all in one day! All were impressed by the visit to Derry, this year’s UK City of Culture. What a transformation from a ‘city at war’ to a city displaying optimism and imagination. The Bloody Sunday Museum, the Bogside wall murals, the Guildhall history exhibition and the intact medieval walls are a living display of modern history. The linking Peace Bridge gives a positive signal to the future. A walk through Ards Forest Park with its wonderful trees, historical sites ( holy well, mass rock etc. 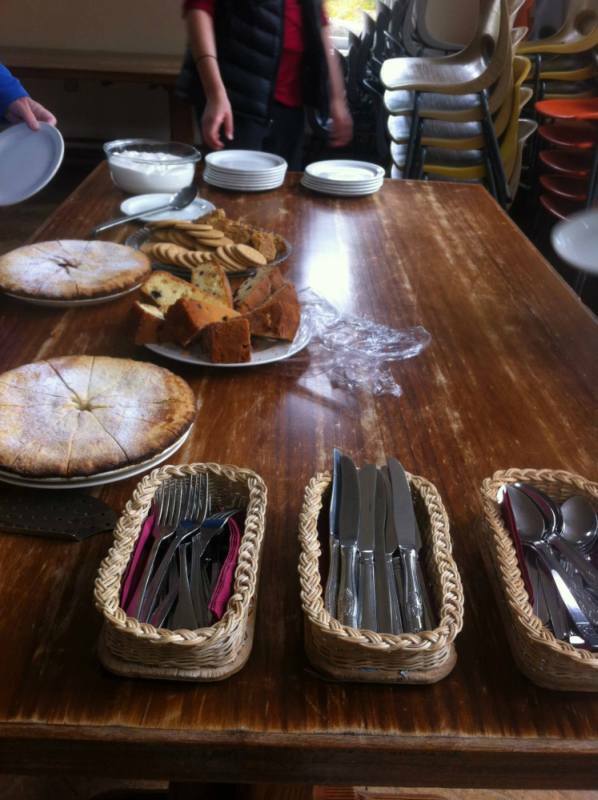 ), glorious beaches finished at Ards Friary where we were greeted with freshly baked cakes (apple, black cherry etc. etc.!! ), tea and coffee and friendly chats with the friars. Of course we visited my favourite tree! 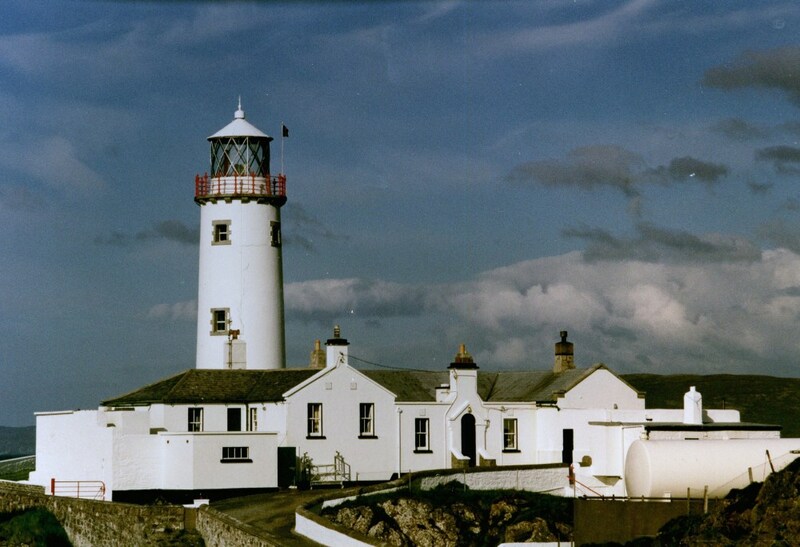 We finished our week by crossing Mulroy Bay to the Fanad peninsula where we visited the Fanad Head lighthouse, recently voted the second most beautiful lighthouse in the world. 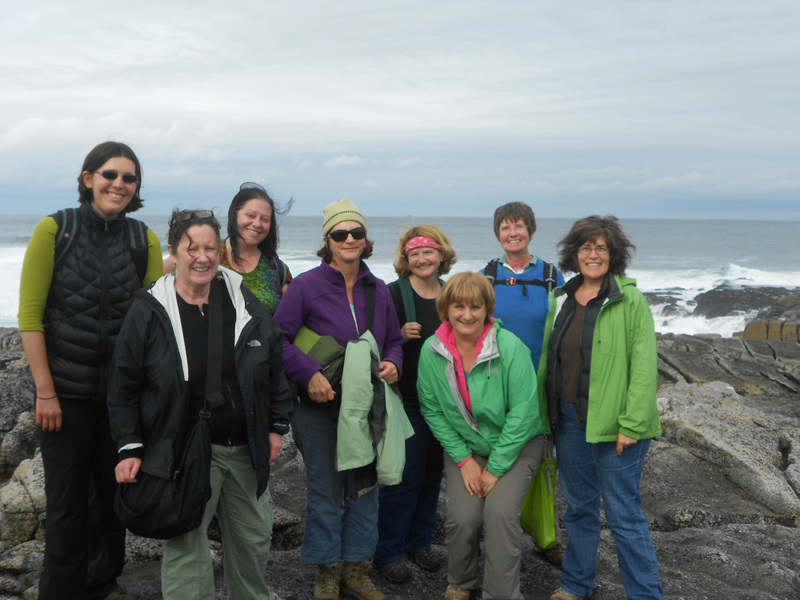 Then we did a leisurely walk along the coast from Ballywhoriskey to Rinmore. The beauty of the coast and ‘ceol na mara’ (music of the sea) was a fitting, serene end to our wonderful week together. Looking forward to a return visit from our San Franciscans!! Thanks to Shella, Stacy and Susan for their pics.